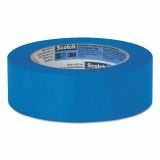 Painter’s tape adheres for 14 days and still removes cleanly, even on surfaces exposed to direct sunlight. For semi-smooth to semi-rough woodwork, glass and metal surfaces. 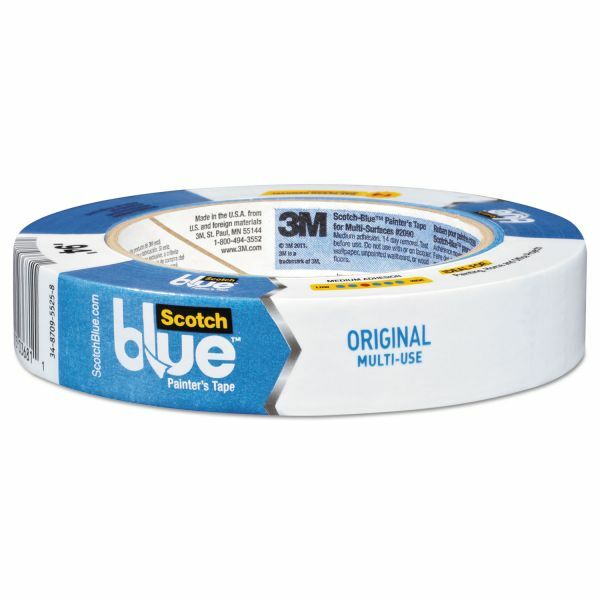 ScotchBlue Painter's Tape, .94" x 60yds, 3" Core, Blue - ScotchBlue Painter's Tape Original Multi-Surface removes cleanly for up to 14 days and does not cause surface damage, even when exposed to direct sunlight. 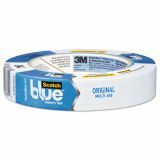 The medium-adhesion tape delivers sharp paint lines and can be used on a variety of surfaces, such as walls, trim, glass and metal. It easily conforms and sticks to the surface with consistent surface contact and secure holding power. 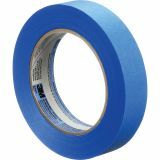 The adhesive-transfer resistance from the acrylic adhesive, increased light and ultraviolet stability mean the tape stays intact when removed to reduce labor and rework. Solvent-resistance and moisture-resistance resist paint bleed-through, and adhesive doesn't soften or transfer when tape is wet. The tape is easy to tear and use with a smooth unwind.